One of the great gifts of the forefathers of this country is that the scales of justice will – must – balance to a state of equilibrium. Our words are the necessary weight and the scales are in the courtroom, but we cannot fight these wars without the financial backing to support the mission. To that end, Ron Lacks, Sr., Ron Lacks, Jr. and several members other members of the Lacks Family hired Christina J. Bostick and Bostick Law Office to secure justice for them, and Henrietta Lacks, and by extension, all of the Black bodies and persons who have gone exploited in this country for far too long—who demand to be acknowledged, not just as full-fledged members of their community, but also as the literal builders of the nation who are entitled to compensation according to the scope and depth of their contributions. Christina J. Bostick fist opened Bostick Law Office in 2014 as a consulting business to assist young entrepreneurs and philanthropist in opening businesses and organizations, enabling them to take on leadership roles in their communities and effect change in new and inspiring ways. Since then, the businesses and organizations she helped to grow into movements in their own right. Christina’s humble beginnings in consulting quickly ballooned into a thriving legal practice when Christina recognized grave injustices in lawsuits brought against undeserving citizens and the mistreatment and exploitation of working-class people by powerhouse law firms and corporations. Combined, her passion to pursue justice and her ability to create and advance novel legal theories have made it possible for Christina to secure often unexpectedly just outcomes for her clients. The world first became aware of Henrietta Lacks’ immortalized cell line on April 10, 1951 – a new cell and medical miracle, capable of perpetual duplication, could be relied on to support an army of researchers toward achieving innumerable breakthroughs in modern medicine. However good the news, it did not quite reach the ears of the town crier: Mrs. Lacks, herself. Nor any of her family members. Though Mrs. Lacks lives on in her cells through the launch of a multi-billion-dollar industry, her family was left in utter poverty—without compensation, redress, or atonement for the exploitation of their matriarch’s body. 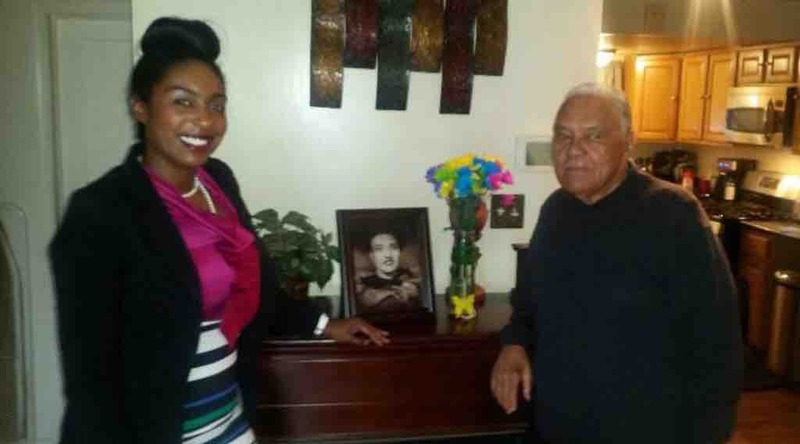 Many people and entities who have offered the family opportunities to attend conferences, symposia, and other public events, but never gave a second thought to the general welfare and well-being of Mrs. Lacks’ decedents. They thought about the dollars though. Millions of dollars have been raised and donated to multiple allegedly charitable organizations without even one dollar being offered in support of the last living son whose health is failing or his grandchildren or grandnieces and nephews, many of whom have been offered disrespectfully low fees to speak about the Henrietta Lacks’ story, but not invited to sit on the vast majority of the boards of organizations erected in their grandmother’s name. They have been invited to the naming ceremonies of schools and buildings named for her, but never offered scholarships to attend those schools or employment at those buildings. 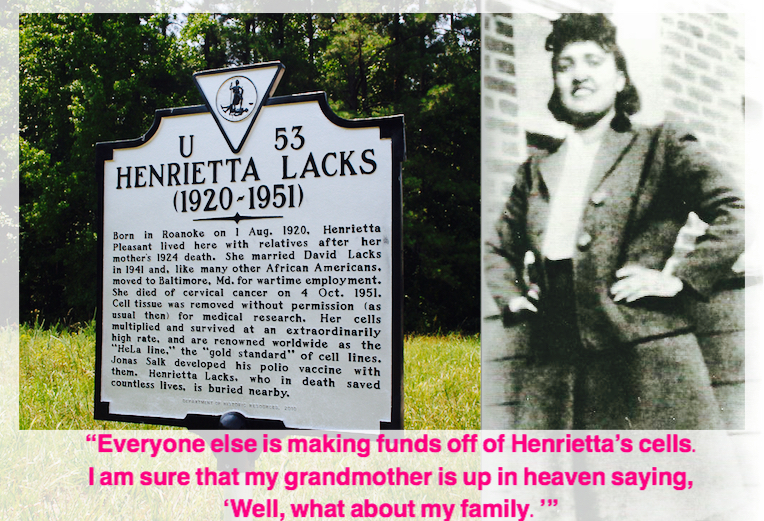 The crux of the dilemma was best described by Ron Lacks, Jr.: "Everyone else is making funds off of Henrietta's cells," said Mr. Lacks. "I am sure my grandmother is up in heaven saying, 'Well, what about my family?'" Henrietta Lacks' cells have been reproduced billions of times for science and sent all over the world. In comparison, her family does not have nearly as many stamps on their passports. Since her death in 1951, they have not been compensated for their matriarchs contribution and their is no plan to do so. Still, Mrs. Lacks continues to impact American culture - not only in medicine and science, but in popular culture and entertainment. 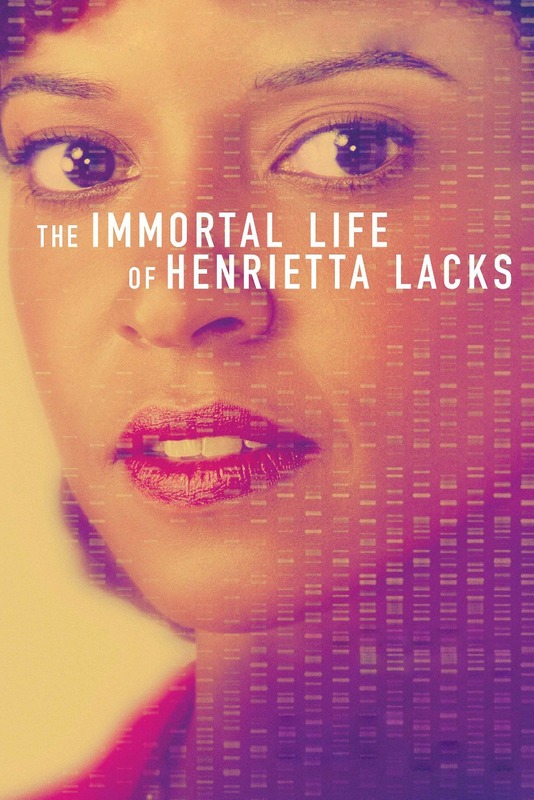 In the recently released movie, Annihalation, the main character - a biologist specializing in cell production reads the The Immortal Life of Henrietta Lacks. Check out the movie to get a more in depth understanding of the impact of Mrs. Lacks' contribution to society now and what the future could hold. Please donate to this campaign to assist the family in securing justice for the theft of their mother's biology and legacy.